I'm not one for making resolutions, but I do like looking back at the past year and celebrating the good stuff. These are my fave posts of the year. 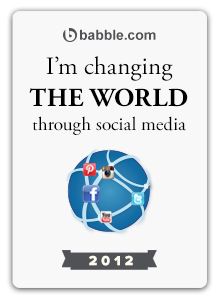 Friday, I'll post a link-up so you can all share yours! I recently learned about Soaperior Organix, a company started by New Jersey mom Sharon Artz and her husband, David. They're parents to three boys ages 15, 13 and 1/2 and 11 1/2. Their oldest two have autism, and the company's tagline is "Hope thru soap: empowering autistic teens thru entrepreneurship." This is their story, as told by Sharon. What first got you thinking about work for your boys? Before I started Soaperior Organix, I often wished that my sons could start vocational training earlier. It's the logical thing to do given that they take longer to learn. They are still young, but they are not in grade school anymore and time only marches forward. I had to do something. Anything. When I was their ages, I started babysitting and ran children's birthday parties. While I didn't grow up to become a professional babysitter or party-thrower, I still learned about life skills like responsibility, decision-making and managing money. When would my sons' have the opportunity to learn the pre-vocational skills we all learned through teenage jobs? How did you come up with the idea for Soaperior Organix? It's funny how the idea of Soaperior Organix developed. David, who's a doctor, was talking about having a French soap shop. My mind kept thinking, family vocational training. He dropped the idea, and I took it over. Soap seemed perfect because we all use it! Last year, I spent a few hundred dollars buying merchandise. I searched for a terrific soap that people would want, not for the cause but for themselves. How did you actually make it happen? Y'know, while it wasn't the easiest thing I've ever done, it also wasn't as hard as I thought it would be, and I'm saying that as a person with zero background in retail, branding, pricing and marketing. I've never even worked in a store. I have a degree in psychology and, in a million years, if you ever suggested I would own a soap company, I NEVER would have believed you. Basically, I thought about it for several months and did very preliminary research. One of the things I learned is anyone can start an "LLC" and it takes about 10 minutes to do so. Even after I had my company name and LLC, I still didn't know what to do, but just kept researching. I researched soap, soap companies and vocational training, and I bought a domain name for a website. I didn't start to invest any money until I was sure I could fully pursue this idea (I can't tell you how many ideas I've had that never came to fruition), and I still gave myself an "out" even then: "Well, if it doesn't work, I'll shut it down and we'll just have a lot of soap in the house!" Whenever I started to dream, think pretty big and feel overwhelmed, I returned to my mantra: "Me and my boys in the basement." In fact, I truly believe that it's because of my mantra that I got this far. Baby steps. I made a few firm decisions. One, we aren't actually making the soap. Soap requires lye, which can be very dangerous if proper precautions aren't taken. I did not take out a loan. I worked very hard to minimize my costs, and I loaned myself the money which will take time to repay. 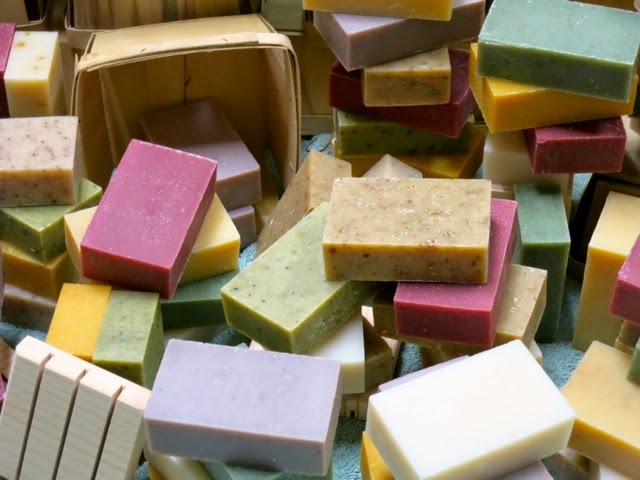 We buy the soap from an incredible organic wholesale (private label) soap manufacturer. Their values are sympatico with mine and the soap is terrific—they're made of plant-derived base oils and essential oils. Two, we would only be an e-commerce shop. I can't afford to rent space and it makes no sense for me to sit in a soap shop waiting for customers while my kids go to school. Plus, my kids know computers, so I wanted to start with their strengths. How have your oldest boys participated? I really only told my older boys about Soaperior when it was about to become a reality. And, of course, I presented it in very positive terms, like learn job skills and earn money. They work on it a few weeknights every week and a few hours every weekend. My boys package all the soap. That means they put each soap in an organza bag, wearing gloves, and then they label each bag with a sticker. When we get an order, my kids determine whether it's a drop-off which is bagged or a shipment which is boxed. If a box is necessary, they make the box. This accomplishment cannot be overstated given how darn difficult that packing tape dispenser can be! Then the kids fill the order (making the gift bags is newer, but coming along). For a shipment (we have a lot of those), they go online to our account on usps.com and prepare a mailing label by which they also pay for postage, which also means they are learning to weigh the packages. After they load the labels into the machine and print them out, they go back online to arrange for the postal pickup at our house. At the end of filling any order, they go onto the back-end of our website and check off the order so that the customer receives an email informing them that their order is complete and ready to go. In addition, they add a quick note to every order. My middle son usually writes "I hope you love your soap." My oldest's messages have shrunk from "I hope you enjoy your soap!" to "Enjoy your soap!" to "Enjoy"—true teenager on that one! Clearly, bagged orders are less work and my oldest son figured that out quickly and prefers those. However, my kids are paid by time spent working. So, even when he is reluctant to work, he is eager to earn money. They earn $8 an hour, chosen because it easily breaks into quarters. My oldest has bought books and his own snacks at school; my middle son is saving up, I think for a videogame; and the youngest guy seems happy just to save the money. But he's very into clothes, so we might be shopping soon. Sundays are pay day. What have been the boys' reactions to working? Generally positive, with some variation! One of my very best days was when my oldest son asked me to buy him something, but I didn't want to spend the money. So he said, "Can I work today?" (!!!!) He made the connection that I had been trying to teach for so long. That's not to imply that he loves working; he doesn't. He prefer some tasks over others (don't we all? ), but he wants to earn money, so honestly, that's good enough for me. 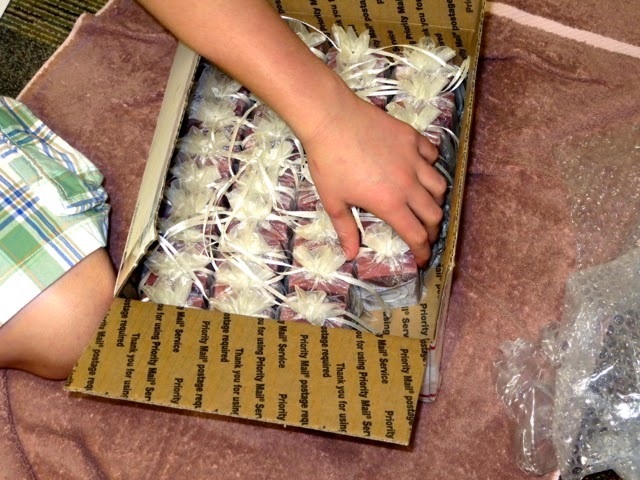 Although he is also perfectly happy to play music and sit and package soap for awhile. My middle guy generally works after his shower at night, which has been a real blessing. He has a hard time filling his leisure time constructively. He has a short attention span and a high activity level so it's very difficult to find things to do inside. While some might not consider "working" as a leisure activity, he does. He needs a ton of structure with concrete directions and working provides that for him. He is very proud of himself and hoping to work as a vendor at his school's annual walk-a-thon in the spring. 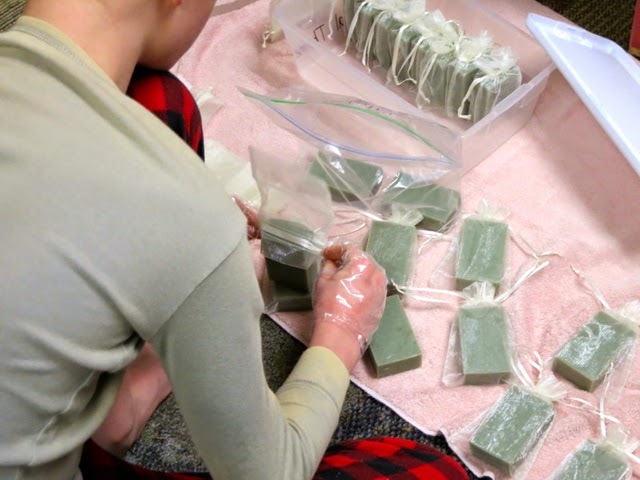 My youngest loves to fill orders (not package soap) and he loves to discuss entrepreneurial concepts. It's pretty amazing what an 11-year-old can ponder. Some of my proudest moments, aside from their individual accomplishments, are when we are all in the basement working together. Sounds so simple, but like I said before, I take nothing for granted. 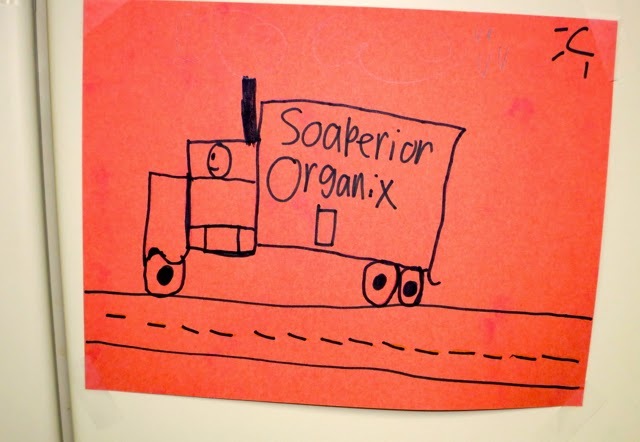 The Life Skills Program at a local high school runs a branch of Soaperior Organix from their classroom; kudos to their awesome teacher who sought an opportunity for her students and went for it. The students are responsible for promotions, sales, packaging and delivery. At the moment, I understand they are planning a bowling trip with their profits. From what I hear, Soaperior Organix has been hugely motivating for them on many levels and their teacher has all sorts of lesson plans derived from their working experience as it relates to shopping, banking, etc. Meanwhile, through this experience we are developing a vocational training curriculum to market our program to school districts. I strongly believe that our kids should learn vocational training in a meaningful context and running a business would provide the context for the teens to practice their job skills. I don't want my boys to learn packaging by packing pencils and dumping then doing it again. I want my sons to get the whole picture. And I don't want it for just my children—I want it for all of our kids. We have a generation of teens with special needs who are growing up and will need a place in society as adults. I want us to start figuring that out now. I truly, truly believe that, as parents of children with special needs, we have to think creatively and "out of the box" as we contemplate our children's futures. In my endeavor, I had role models online of other parents who set up family businesses for their adult children with special needs including Special Kneads and Treats, Inc; Anthony's Beehive; Tim's Place and Puzzles Bakery and Cafe. If I can inspire someone else to do the same, that's great. We have to support each other because ultimately we are all in this together to create a compassionate society where our children can live and thrive. You can purchase Soaperior Organix products here. 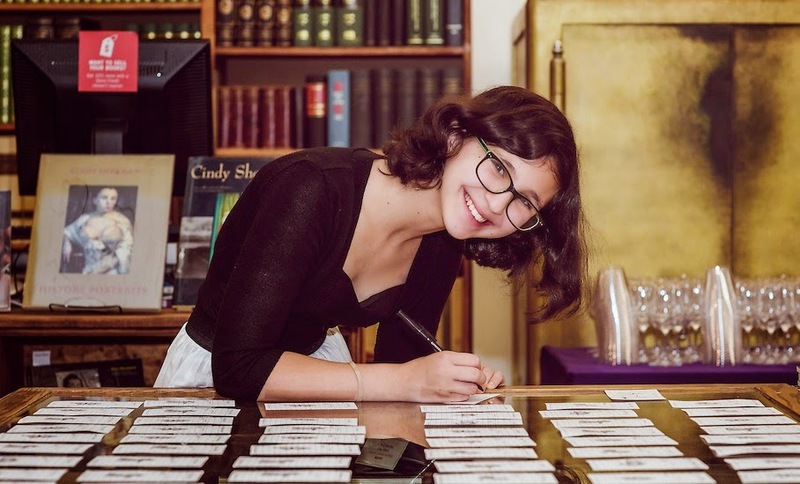 This guest post is from Josie, a 13-year-old who is the oldest daughter of my brilliant/funny/awesome writer friend Marjorie Ingall. Josie is an 8th grader in New York City who's into public-forum debate, feminism, reading, drama, playing the flute and being a big sister to Maxie. When I saw my little sister Maxine reading the Dork Diaries books, I immediately recalled my own experience reading them. With a flashlight under the covers. Under the table during dinner (frequently and suspicion-inducingly glancing at my lap). Laughing with my friends about the crazy, funny and sometimes cringeworthy life of 14-year-old Nikki Maxwell. Watching Maxine enjoy the books, I was struck with the need to read them again. So while she was at Hebrew school, I did. And I was loving "Tales from a Not-So- Fabulous Life" at age 13 just as much as I had at age 9. That is until the mean girl, MacKenzie, rescinds Nikki's invitation to her birthday party, THE social event of the year. Obviously, everyone else in the class laughs at Nikki. In her diary she writes, "I felt like a total retard!" I didn't remember this at all. But then, nine-year-old me wouldn't have found this a cause for alarm. She would smile and shake her head at Nikki's dilemma and continue with the story. 13-year-old me had no intention of doing so. When people like this author use "retard" and "retarded," even in a self-deprecating way, they're desensitizing kids to what the words mean. For younger me, the use of the word "retard" here was reason to laugh. 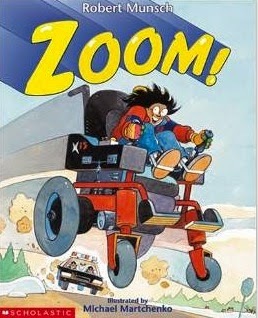 And for other readers and kids, that's still the case. Millions and millions of copies of these books have been sold. Yet no one appears to care about its use of "retard," even by a character who is considered relatable. I'm almost the same age as Nikki now. But, I don't see her in the same way as I did when I was nine. I used to think I was like her. But since then, a lot has changed. My family, especially, began to acknowledge how frequently—and wrongfully—we'd been using the word retarded. At school, we began to learn about bullying; the way name-calling can be just as hurtful, if not more hurtful, than physical violence. And now, I think of myself as someone who wants to stop people from and educate them about using the word “retarded.” Now I am someone who actively speaks up. During advisory, a homeroom-like study period at my school, another student was loudly talking about his "retarded" friend, to the amusement of two or three other kids. Instead of gritting my teeth and returning to the book I'd been reading, I turned around to face them. "You know what? I don't want to hear the word 'retarded' in a place where I'm supposed to be surrounded by caring, intelligent, open-minded people. So keep your ignorance out of my earshot, if you don't mind." He responded, "Whoa. Can you, like, chill? It's not like 'retarded' is a bad word." "No, I think it is a bad word,” I responded. "I think it speaks to your sense of superiority to actual developmentally disabled people. You think you can use this word, this word that's incredibly hurtful and offensive to so many people, and use it to describe everyone you look down on. I don't want to hear it." If you hadn't already assumed as much, I'm incredibly vocal about my thoughts. 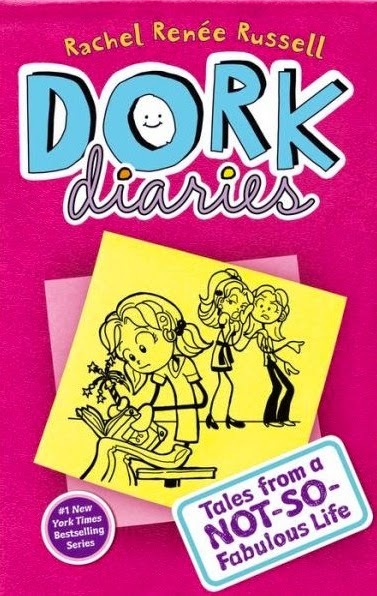 In my opinion, characters like Nikki and books like Dork Diaries are just another reason to reconsider the way we look at real issues (like the use of "retard"), and how we present them to kids. "He knows what he wants!" people sometimes say when they hear Max expressing an opinion or request. Like when we were at a holiday party the other day and someone asked if he'd like a chunk of the big hero sandwich. When Max said "No!" quite profusely, the lady serving the food looked surprised, smiled and said, "Well, you can certainly speak your mind!" (We are still working on the "No, thank you" thing.) I think it comes as a surprise to some that Max is capable of being opinionated, perhaps because of his speech issues. So Max looks at the calendar and seems pleased, so that's good. 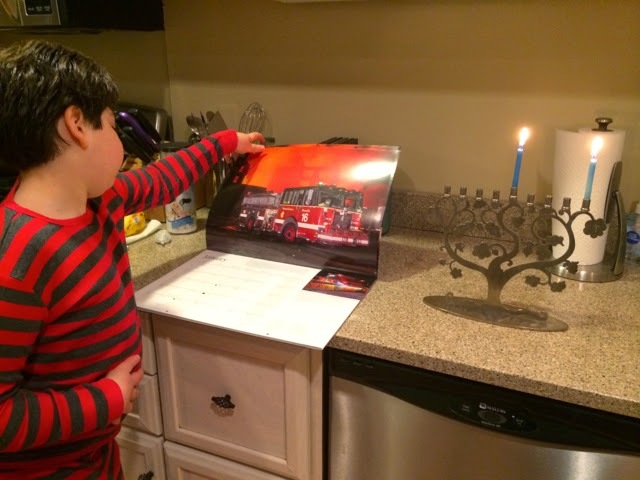 And then he informs me that actually, his favorite fire truck from the local station, number 31, is the one that deserves to appear on the cover. And how am I going to argue with that? So I print out a copy of the truck and tape it onto the calendar cover. Then he flips to March and tells me that we have to fill in the date of his March joy trip to Chicago with Dave, on the 27th. So I write in "Max and Daddy are going to Chicago!" Only, no. It needs to say "Fireman Max" and I need to add "March 27, 2015." So I do. Then he flips to December, and wants me to fill in that the 10th is his birthday. So I write, "Fireman Max's birthday" there. Only, actually, he would like me to also fill in what presents he will be getting. "Sorry, Fireman Max, I don't know yet what presents you will be getting," I say. I look perplexed. He walks over to the iPad and in his speech app types out "ride." Oh. That. He would like another ride on the fire truck to his birthday party next year. "I don't know, honey, we'll see," I say. When Max was younger, he really wasn't so opinionated or focused on the world around him. I think his brain was processing a whole lot, and still recovering from the stroke. Typically he was satisfied with whatever you put in front of him: food, toys, books. Then came a point when he wanted to make requests but lacked the speech, so we created a binder with photos he could point to (this was pre-iPad). And now, he goes to the fridge, throws open the door and shows us what he wants for lunch. He argues with Sabrina over what to watch on TV. 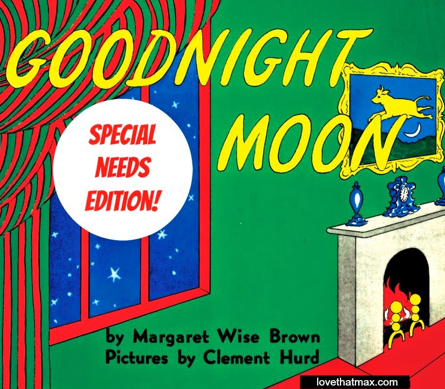 At bedtime, I go through at least five rejections before I finally find a book he wants to read. 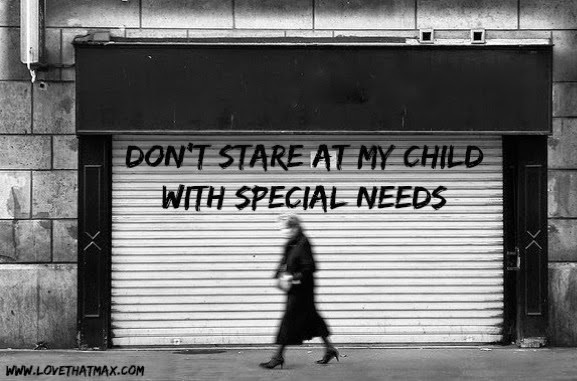 It's the sort of thing you just don't take for granted when you have a kid with special needs. As tiresome as it can get having to write "Fireman Max" everywhere (he made me write that on the envelopes of birthday cards he got that only stated "Max"), or reconfiguring stuff to please him, it really is awesome. Mostly. 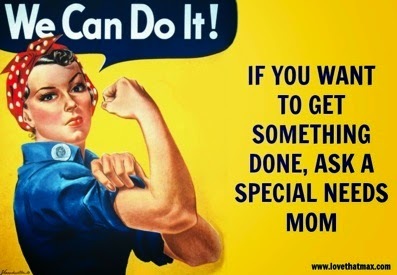 If you are not yet at the point where you're ripping your hair out because of your child's copious opinions, requests and demands and simultaneously savoring it, I hope it will happen to you, too! And if you are? Let's talk! 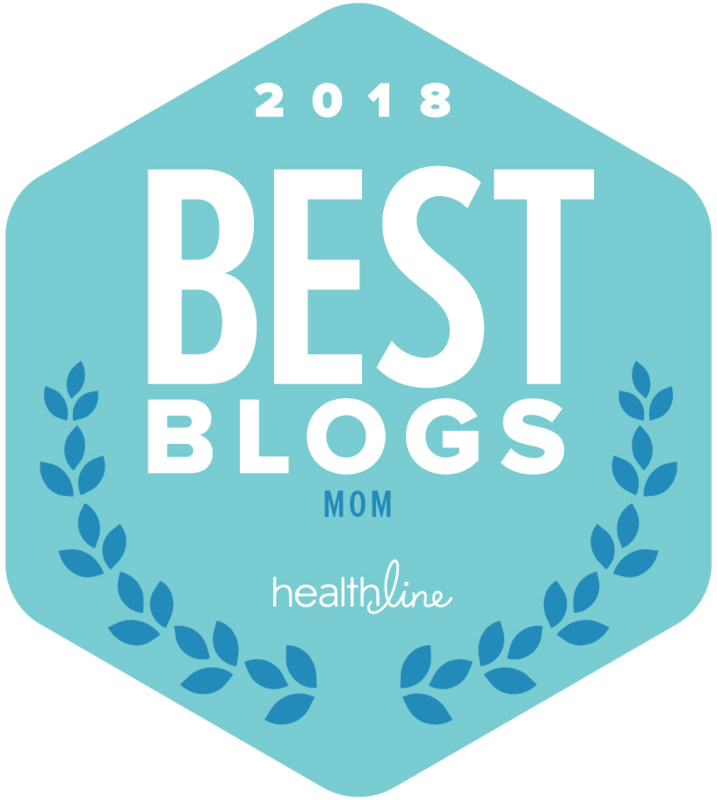 This is a guest post from Dawn Marcotte, a mom of two girls including a 15-year-old on the spectrum and, as she says, "a 10-year-old who wants to be just like her big sister." After struggling to get a proper diagnosis for her daughter, Dawn launched ASD-DR to help families of kids with autism. As her daughter has gotten older, she says, the focus has shifted to helping teens and young adults live up to their highest potential. My teenage daughter hugged someone this weekend—someone not related by blood. "You can have 5 more minutes if I can have a proper hug." Sometimes A. chooses the hug and sometimes, she chooses the computer. The hug happened during a recent family adventure to an anime convention (anime is a Japanese cartoon style.) This local convention was attended by thousands of rabid fans. Many of them were dressed in full costume as their favorite characters. We knew it would be loud, bright and pretty obnoxious but anime is A. 's current obsession and she will talk about it for hours (and hours and hours and hours.) So off we went. In an attempt to avoid as much of the noise as possible we went very early and didn't attend the rave in the evening. As always she had her music and headphones with her so if things go too overwhelming she could cope, although she never used them. I thought her head was going to explode she was having so much fun with all of the other anime fans. As we were walking down a hallway on our way to the next discussion panel, she literally ran up to another girl and threw her arms around her in a big hug. Yep, a big hug to someone she hadn't seen in three years. Later I asked her about it. She said, "Mom I was just so excited with all the anime that it just burst out of me when I saw her and I had to hug her. She was one of the people that introduced me to anime." Our daughter went to day care from the time she was 3 months old and formed a friendship with two other little girls. They didn't go to school together but stayed together in daycare until 3rd grade, when one moved away. Growing up together and spending hours every day together helped the other girls see her as a person, not a problem to be overcome. She also started with friendship therapy in kindergarten. Early intervention was key to help her learn the basic skills for communication. At school she got social skills therapy, along with speech therapy, occupational therapy and adaptive PE. We also took her to social skills therapy outside of school. The team of specialists at school communicated with us almost daily so we could reinforce what they were teaching at home. The consistency between school and home allowed her to generalize the skills faster than she may have otherwise. We also shared this information with her outside therapy so that everyone was on the same page. One important thing we learned was to have her interact with only one or two kids at a time. We also learned to just focus on one thing at a time. For example, while we were working on looking others in the eye, we didn't correct her tone of voice or personal space—we focused on eye contact. Once she understood that, we moved on to the next social skill. That way she didn't get overwhelmed, and neither did we. As a kid, our daughter spent a lot of time outside running and playing with the neighborhood kids. Yes she got along pretty well with them, quirks and all. They all grew up together and while we noticed that she didn't always play "with" them but rather near them, she was happy. She was our first and we didn't know any better. What we didn't realize is that another of these kids is also on the autism spectrum—they seemed to understand each other and I think that helped the whole group play better together. As a former teacher I believe that reading is the single most important skill for anyone to have. Children spend the first couple of years learning to read and the rest of their life reading to learn. So we read to her at least twice a day. This opened whole worlds for her and reading became her escape from environments that were often overwhelming. Books aren't loud, books aren't bright, books don't have weird textures and tastes and books don't need a conversation. Reading allowed her to interact with us in a way that was comfortable for her. Sitting next to me on the couch (no touching) or in her bed while I read was a way to be close without being overwhelming. Reading also became a reward for her that we used to motivate and teach. 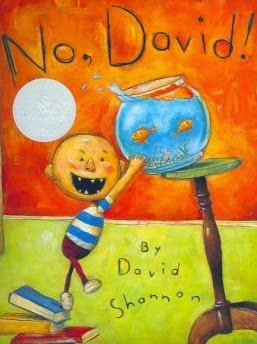 We used books to teach her about facial expressions, conversations, body language, idioms and lots of social situations. Luckily the Berenstain Bears and Little Critter series had a lot of social stories about going to the doctor, dentist and even school. We shared classics with her (The Chronicles of Narnia) and new releases (Harry Potter) and she remains an avid reader. Anything in print was fascinating and somehow more real than something she hears from a live person. We used this need for seeing it in print to help her learn difficult skills that we couldn't seem to get through to her. For example, she used to have a hard time with tone of voice. She always spoke very loudly and very fast. Finally we wrote a story that illustrated how difficult it is to understand words spoken to fast. We wrote a different story about how speaking loudly can be interpreted as anger. 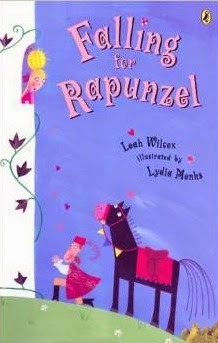 We read them to her every day and practiced speaking correctly. Sometimes, stories were about an activity we wanted her to do, like brush her own hair. No matter how many times we told her how to brush her hair and that she needed to brush her hair she fought against it. Finally we wrote out the steps to brushing hair and the top three reasons brushing hair every day is important. We simply printed up the book with instructions and she used it to learn. Since it was in print it must be true! But reading wasn't the only thing we did together. When A. was young, we would take time every week to do something fun as a family. I know this seems kind of obvious, but often it just doesn't happen. Not in a way that children understand. 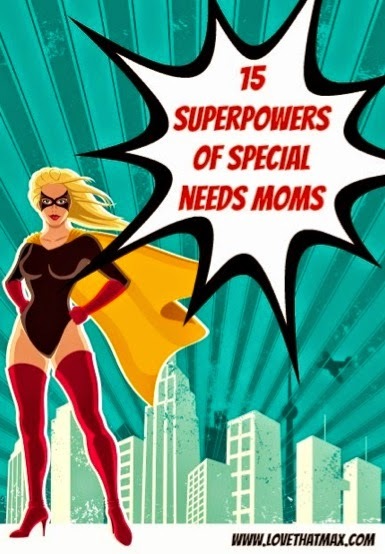 Families of kids with special needs spend so much time taking the kids to doctors and therapists and specialists that we lose sight of the child. We made an effort every week to do something fun that emphasized her positives, rather than focusing on her negatives. This support and acceptance of her as she is, I think, has also helped her to develop a strong sense of self confidence. As my children have gotten older, like many families we do fewer activities together. The anime convention was great for all of us. My oldest daughter is a confident young woman who knows that her anime obsession is shared by thousands, and there are places she can go where she will be accepted exactly as she is. She doesn't need to change to fit into the neurotypical world--she is fine just the way she is. I wonder if I dress up in costume if she will give me a hug? Hmmm…it might be worth a try. Some of Max's ace achievements in 2014: Walking downstairs, independently. Increasingly using his iPad to make sentences and improved reading. Getting overnight toilet trained. Making a "k" sound. More understanding all around. More willingness to visit new places all around. 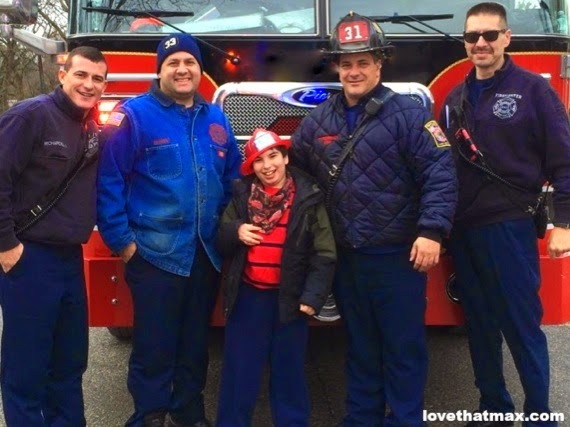 Oh and, yah, charming our fire department into giving him a ride on a fire truck to his birthday party! I asked Facebook friends to share their children's major achievements in 2014; check out some of the responses below and join the joyfest. 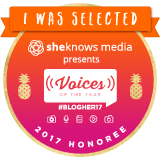 As bliss-inducing as your kid's accomplishments are, it's always thrilling to hear about other kids doing great things. Because we so know what it takes to hit those milestones and inchstones. First step, first haircut, first "no," first sip from a straw—it's all amazing. "At age 7, Julia started walking!!!!!!!!!!!!!!! "—Laurie A. "My daughter (11, cp, autism) started expressing her opinion and selecting her own clothes to wear. While we celebrate this accomplishment, I am a little sad that I can no longer dress her however I like! 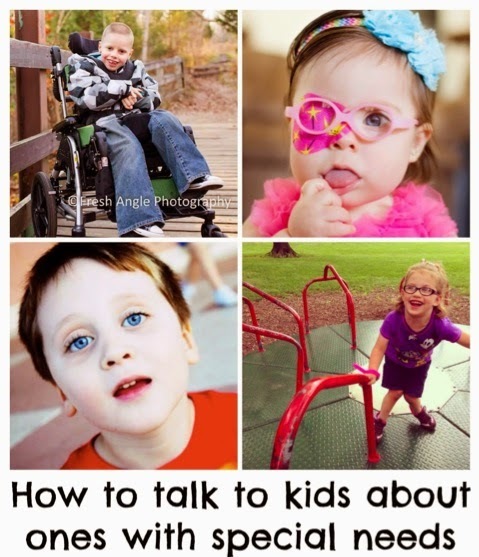 "—Karen P.
"My 4-year-old with developmental delays and seizures said 'I love you' for the first time this year. We eat it up now every time he says it. "—Molly M.
"My 24 weeker (now 18 months actual, 14.5 months adjusted) ate a spoon of puree by mouth. There is hope she will someday be tube free. "—Stephanie B. "My 16-year-old boy with CP was able to be the football manager for his High School team. "—Emily H.
"Sitting thru an entire movie in a the theater, Planes Fire and Rescue. 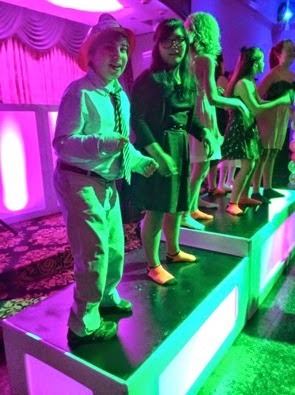 "—Angela S.
"My son, who has autism, making his First Holy Communion! "—Catherine B. "Oldest (CP) in 8th grade was able to march infield with high school band and play cymbals after dad built him a special cymbal holder for his walker. He stayed in tempo and stood proudly the whole time! 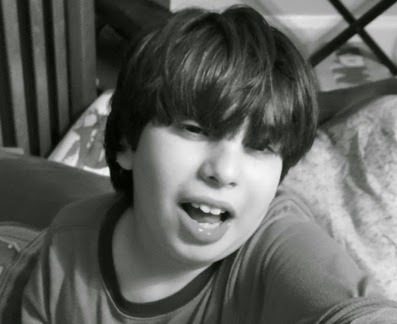 Next oldest (autism) in 6th grade was in summer drama camp with his younger brothers and did great with a good-size role! "—Carole S.
"My severe spastic quad, nonverbal but communicative daughter correctly identifying all 26 uppercase letters in the alphabet! NOT part of her IEP, but she learned them just from being in her regular ed 4k classroom! Yeah! 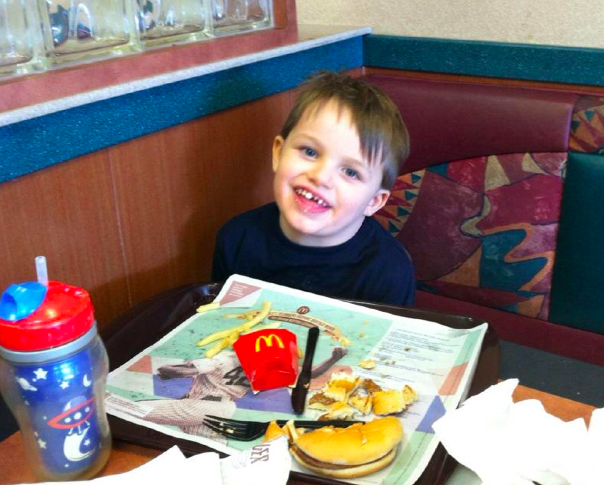 "—Michelle R.
"Daniel, 5 with CP and a feeding tube, eating solid foods—and his first Happy Meal. "—Alana K.
"Carder said 'No!' He is 5 with CP and has long struggled to express a negative response. Every single time he manages a good 'No!' we celebrate. "—Stephanie B. "Jack passed his power chair test, so now we get to order him a new chair! Independence is good! 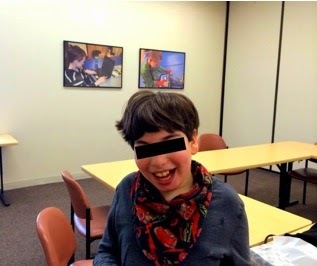 "—Jana W.
"Ian, 5 with CP, microcephaly and sensory issues, finally vocally expressing to his school peers that he doesn't want to hold hands or give hugs or be touched. 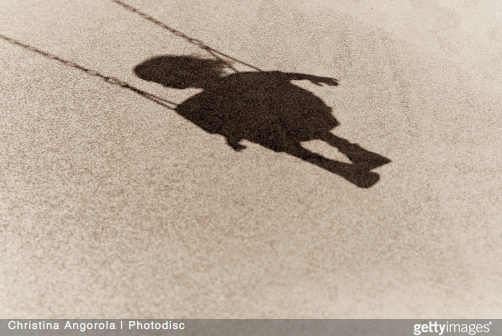 He was having a rough transition to Kindergarten and after-school care. Part of the reason is that the kids love him for being the smallest (and cutest!) kid in the group and want to do everything for him. 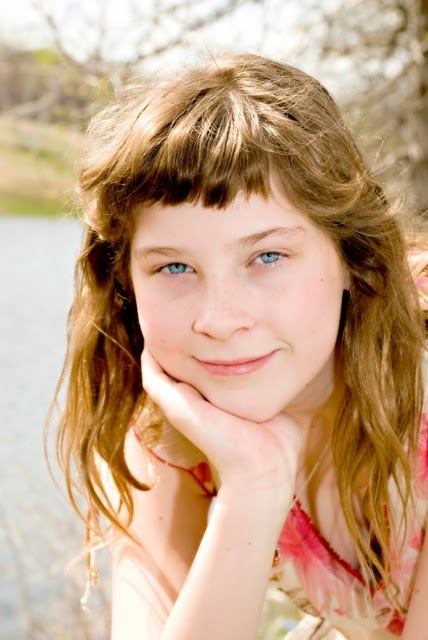 "—Frances R.
My 13-year-old (ADHD, autism, complete agenesis of the corpus callosum) got a part in the school play! 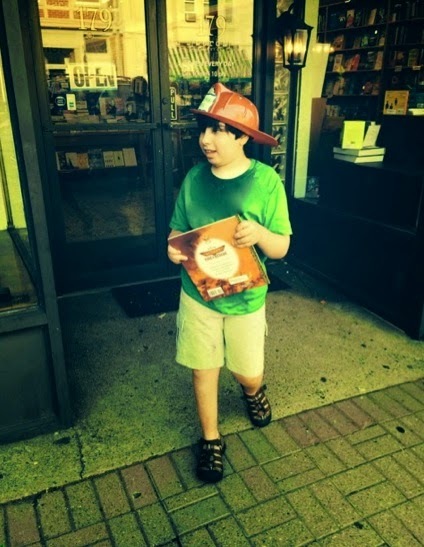 "—Cindy R.
"My 6-year-old son with CP and CVI, Dante, reading a kindergarten book independently. So amazing!!! Also, he was featured in Sports Illustrated in an article by Steve Rushin about how he was drafted by the Yale Football Team through an organization called Team Impact. 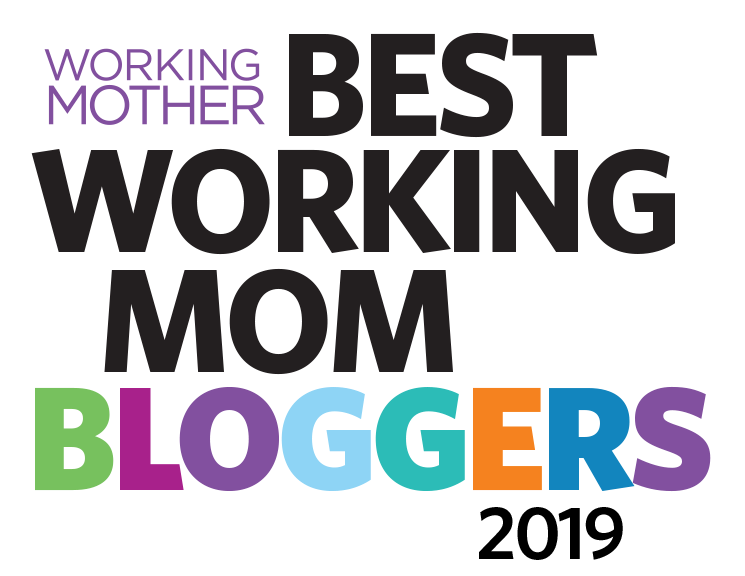 "—Jeanine C.
"This year I heard my son say 'Mom' for the first time!!! "—Maya W.
"We have a LOT this past year!!! My Charli will be 3 in March. In January she started walking, June she started eating regular food (this one was HUGE—she would only eat pureed baby food) August started drinking from a sippy cup. Charli has Down syndrome, Down syndrome does not have her!! "—Heather J. "Our 7-year-old girl taught herself to swim underwater! For the first few months of the year, she wouldn't even let her face be splashed! "—Steph C.
"My 5-year-old son with developmental delays asked a 'wh' question—he asked me 'What happened?' one day when I had to honk my horn at another car. It came as a surprise to me and I was elated! "—Jaimee F.
"We got some independent steps at at 3.5 years! "—Vanessa G.
"My 9-year-old daughter started doing her math homework independently for the first time ever! Such an accomplishment as math is a huge struggle for her. "—Julie C.
"Teddy has spastic diplegia and at the end of March he had surgery to lengthen his hamstrings, Achilles tendons and also to split and move a muscle in the top of each foot. The goal was to enable him to walk on his heels without his toes pointing in. He was in casts for 6 weeks but was in the most pain after the casts came off. Surely but slowly, he stomped on the fear monster and now he walks with a much more normal gait. Six months ago I worried that the surgery caused more harm than good, but seeing him walk easier now makes me believe it was worthwhile. "—Mandy S.
"This year my 10-year-old beautiful daughter learned to drink from a straw!!! "—Caty E.
"My 20-year-old autistic son, who struggled to get a standard diploma from high school, is now a sophomore in college, out of state, getting all A's and B's and flying home independently! "—Peggy M.
"Gabriel says one or two words—Apple and iPad—properly! He ASKS for his iPad to use his communication tool, by name! iPAD. "—Elisha D.
"He peed in the potty! He also correctly identified his numbers and letters...he said MOM for the first time ever!! Such an amazing year! "—Ariel W.
"My daughter, Megin, eating by mouth and having her g-tube removed! We had a huge party to celebrate! It was her 'coming out' party!!! She was 9. "—Sue M.
"Max 3.5 with CP finally consistently started to sign more. It's not much but it's a start and he gets so happy when he sees how excited I get. "—Ashlee A. "Our 11-year-old (with ADHD and developmental coordination disorder) made the Honor Roll for the first time this year. "—Barbara J. "Being able to take our first flight internationally with a child that you couldn't take more than 40 miles from home any direction due to significant sensory challenges. "—Stacy L.
"A little different but, my 19-year-old kid is medication free for the first time since 5 months of age and seizure free. And just a couple of weeks ago he said my name—Jane—which was music to my ears after 10 nonverbal years and thus, I've never heard Mum. 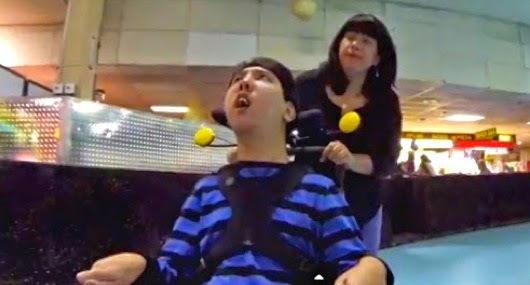 "—Jane D.
"My son has been in a power wheelchair since he was 2. He is now 9 and walked in a gate walker!! "—Keri C.
"Sitting so calmly and letting one person cut his hair using clippers!!!!! So proud of him. 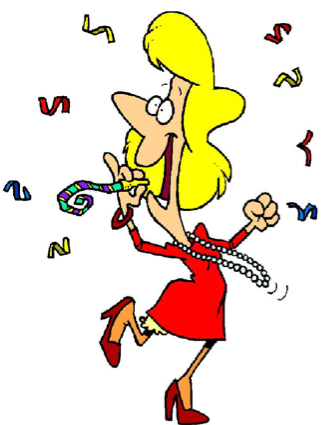 "—Marilyn M.
"My 9 year old (who talks with a PRC Vantage Lite) just wished me a Happy Birthday WITH HER MOUTH. "—Rita S.
"William (8, Asperger's and developmental delays) decided he wanted to 'push his limits' this past summer, and not only learned how to swim (with his face in the water—HUGE for sensory), but also learned how to ride a two-wheeler without training wheels! My heart is still flinging glitter. "—Pilar C.
Honorable mention to Veronica Navarro, a young woman with CP, on her accomplishments in 2014. As she writes, "Became more mature and got my first job and paycheck at the bookstore." 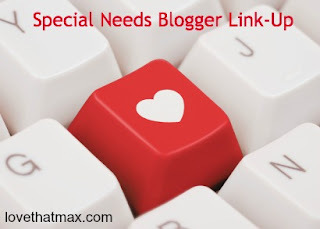 The Special Needs Blogger Weekend Link-up: your holiday post party! What do kids most prefer in books? A whopping 70 percent of children ages 6 to 17 say they want books that make them laugh, per Scholastic's poll of 1026 kids for the new Kids & Family Reading Report. That may not come as a surprise to parents of kids whose favorite bedtime activity is giggling as you read to them. 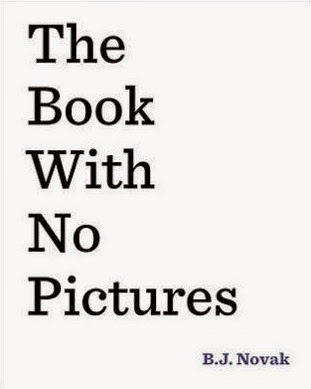 I asked Facebook friends to share their kids' favorite funny books. 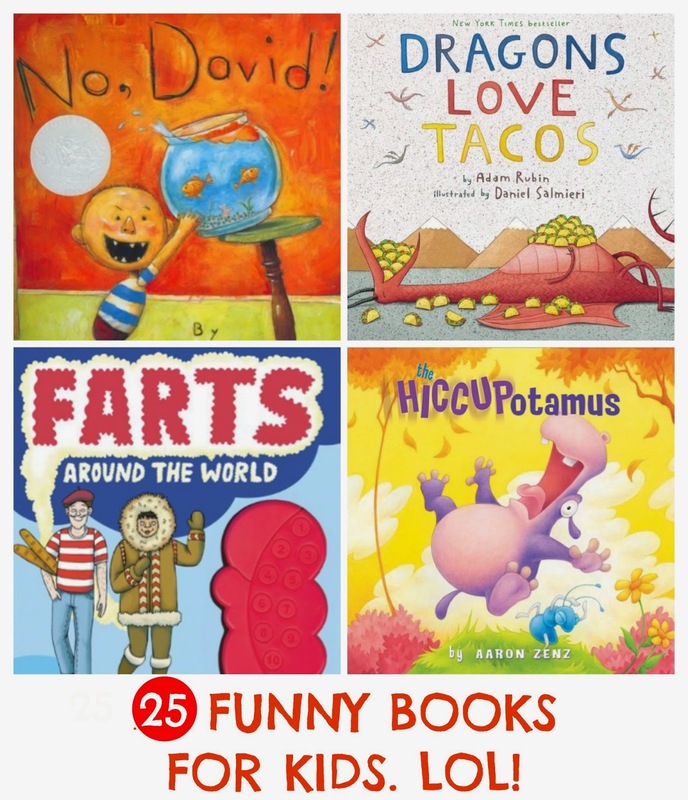 While the majority of these books—a mix of classics old and new—are recommended for kids ages 4 to 8, funny has no age parameters. Whatever engages and amuses your kids (and gets them psyched about reading) works. Click on the pictures for more info. "We love all the pigeon books, especially the part where the pigeon inevitably has a giant freakout," says Jeannie. 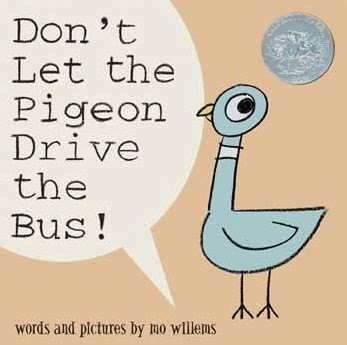 K. "In Don't Let The Pigeon Drive The Bus!, my kids love yelling 'NO!' and giggling when the pigeon begs to drive the bus." 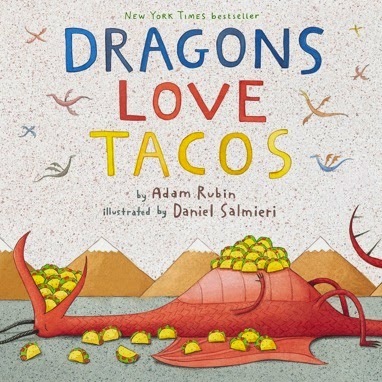 The secret to luring dragons to your party: tacos, and lots of them. Just don't serve them hot sauce. 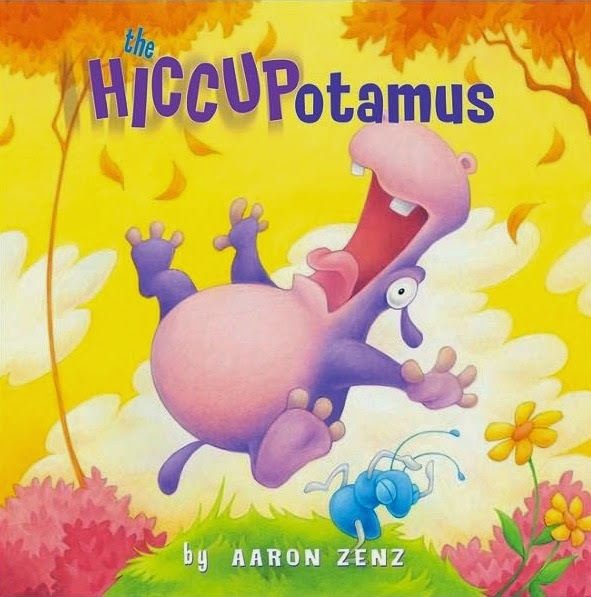 "My son laughs and laughs at this book—it's just silly!" 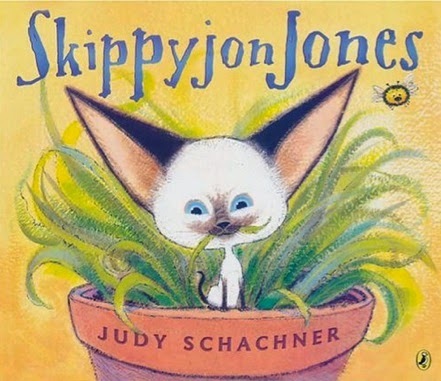 says Maria K.
"It's about a child in a power chair, like my son," says Jody P., "and it's funny!" 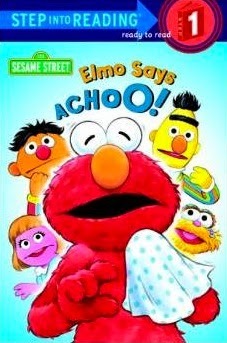 Whenever Elmo sneezes, something funny happens. Might inspire child to say "Achoo!" This bad, bad boy makes for lots of good laughs. A puppy has an identity crisis—he oinks, he moos, he quacks—only when he goes to the vet, it becomes very apparent the problem isn't all in his head. 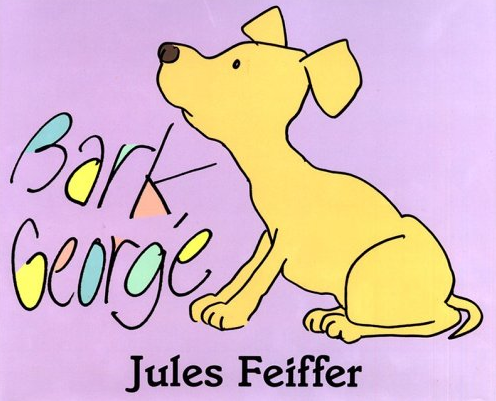 Julie R. recommends this "because of the expressions on the Mom Dog's face, the gloves that the vet pulls on and the last line on the way home." 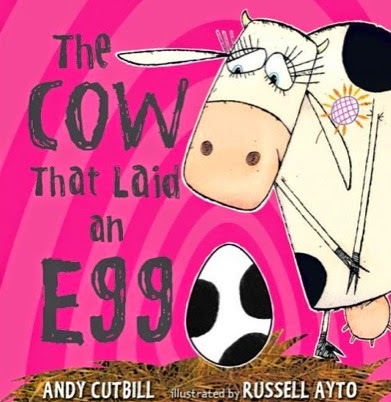 The first of a series of books. Says Yvonne B., "Magical super-burps. Need I say more?" 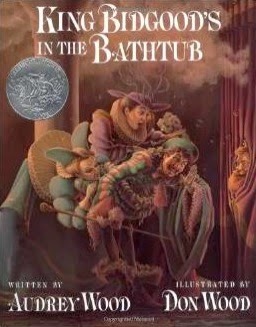 A king refuses to leave his bathtub and rule his kingdom; instead, members of his court end up in the tub with him to fish, dance and even down a lavish feast. Kind of sounds like a bad reality show, eh? 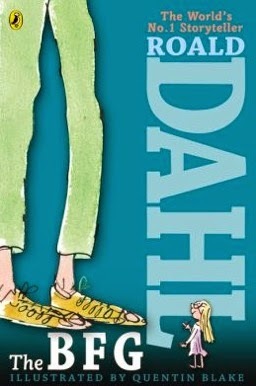 This book about a Big Friendly Giant is geared toward older kids. "So creative and funny!" says Beth R.
A book about a kitten with an overactive imagination who likes to pretend he's a chihuahua: irresistible. 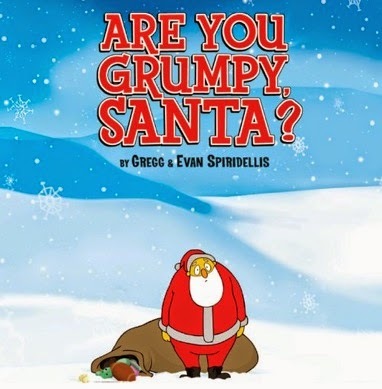 Written by the actor from The Office, parents agree this one's a laugh riot. Readers get to say made-up words like "blurrf" and statements such as "I am a robot monkey." 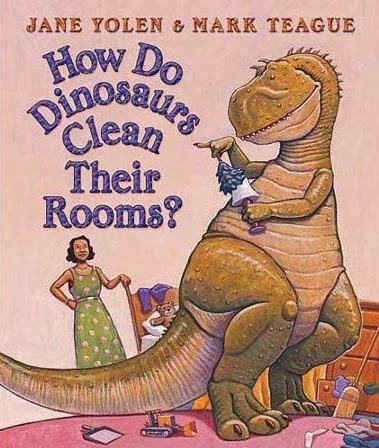 Just one in a series of amusing books that illustrate how dinosaurs behave remarkably like kids. 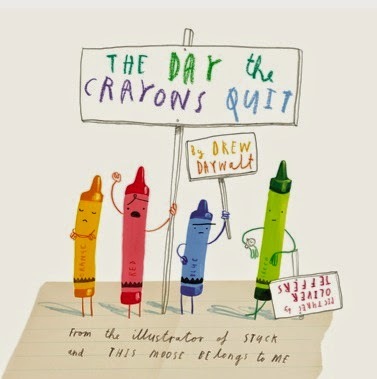 Crayons go on strike! Blue is exhausted, beige is bored, black is misunderstood. 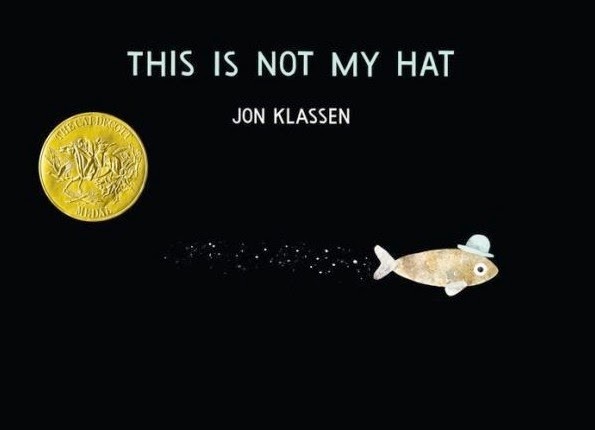 Says Jill Seiman, "I read this in funny voices." 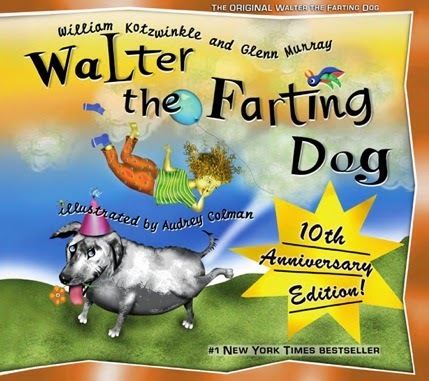 "My kids love the rhyme and when he sprains things and then gets chased by a poodle," says Gretchen K.
Walter has a little personal problem that might send him back to the pound until burglars break in and he scares them off by…. 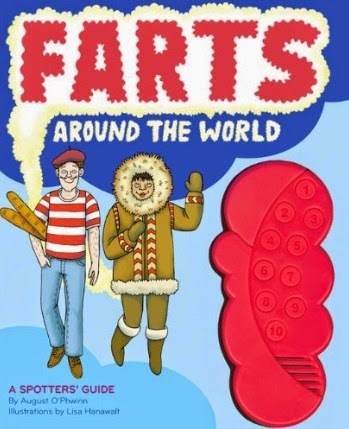 Because there's no such thing as having too many books about farts. Also: This one makes sounds. "It's all about Rapunzel not being able to hear her rescuer correctly and throwing down everything but her hair," says Jill W. "My kids always laughed." "My kids loved this," says Marianne J. 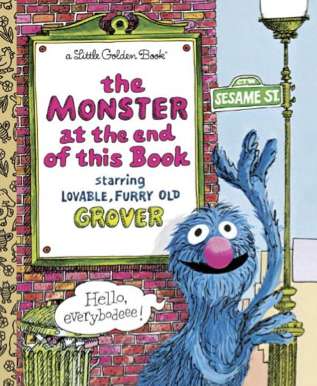 "Of course, you have to act like Grover!" 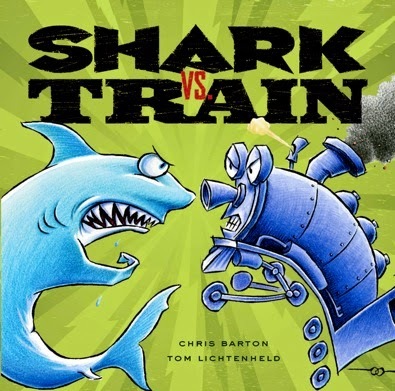 A toy shark and toy train battle it out to see who is strongest, fastest and smartest. 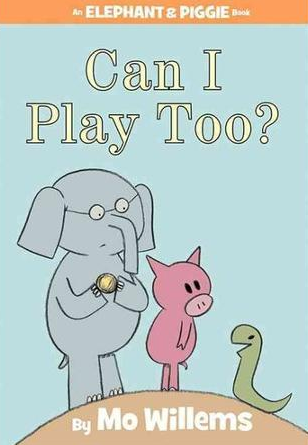 "My son appreciates the sneaky fish thinking that he's gotten away with something, and then the 'shocking' ending...." says Tia C.
"Elephant and Piggie want to play catch with their friend, Snake. While getting creative, Snake gets bonked in the head a lot which my son thinks is funny because we pretend to bonk him too," says Kara Melissa Sharp. "I love this story because they all work together to find a way for Snake (no arms) to play catch too. And it's fun/funny!" 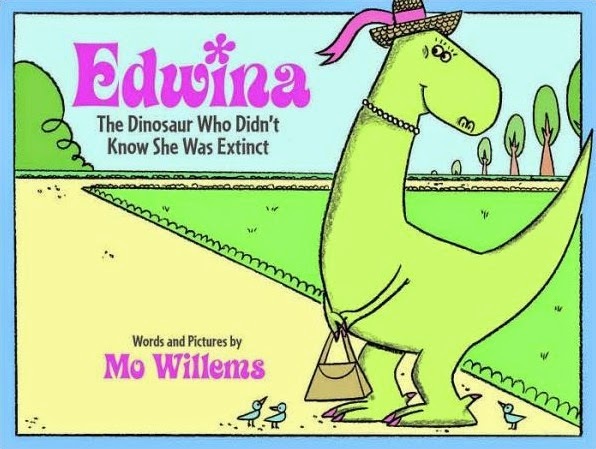 A good-hearted dinosaur has no problems in life until some dude named Edward von Hoobie-Doobie tries to prove dinosaurs are extinct. 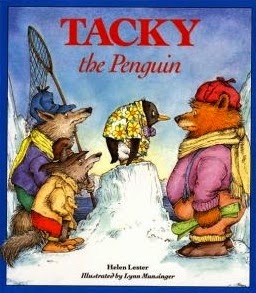 It's clear from his Hawaiian shirt that Tacky isn't like the other penguins. He has a habit of slapping people on the back while shouting "What's happening? "(You know, like your Uncle Frank.) 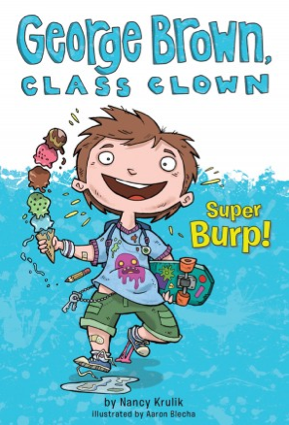 This book isn't just funny—it teaches kids it's OK to be yourself.